Have you ever wondered what it would be like running on a rainbow? I absolutely love running, but I have to admit I do get bored when I’m staring at the same bit of wall for an hour on the treadmill. Pounding the pavements outside is slightly more exciting, but the concrete jungle that is Manchester City Centre is hardly inspiring. So when I heard about Run or Dye I knew I had to sign up! Run or Dye is the UK’s most vibrant 5km run, bringing runners of all abilities together for one huge colourful party! 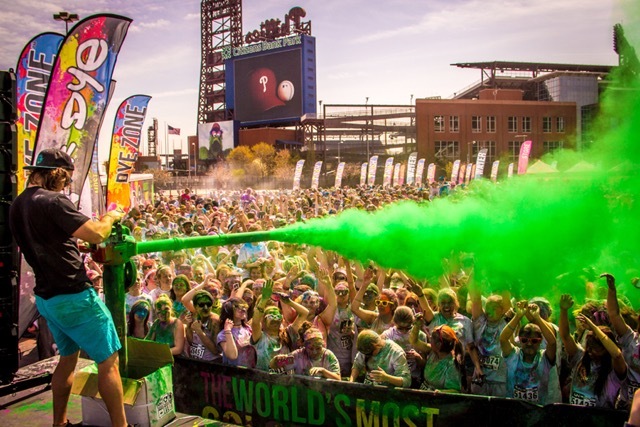 As you run you’ll be showered with eco-friendly, safe, colourful dye at every kilometre so the further you push your fitness, the more colourful you’ll become. When you cross the finish line you’ll enter a huge carnival of colour, music and celebrations where you’re free to dance and tie-dye the sky with your own packet of colour! The Manchester race takes place in Plattfields park on the 18th April but there are many others all over the country that you can find here. The race isn’t timed so you can take a few little boogieing breaks (I hear the music is pretty awesome when you’re running around!) and people of all ages and abilities are welcome, kids 6 and under even go free so you can really make it a proper family celebration. 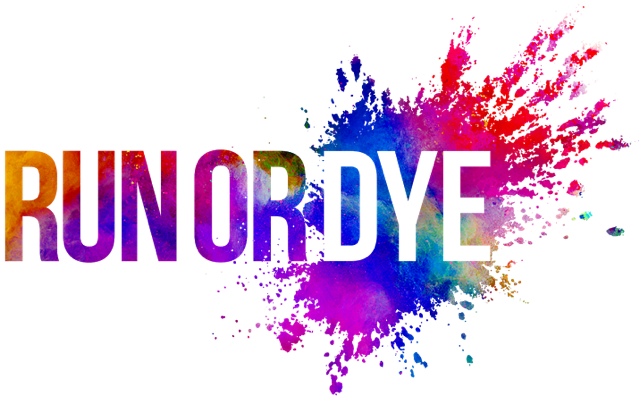 I think Run or Dye is the perfect start to a fitness fuelled summer, the weather should (hopefully) be nice and it’s only 5km so I can just have fun and do what I love – run! I’m planning to ditch my usual all black gym ensemble and opt for a fresh white look so I can transform myself into a crazy canvas of colour! From the photos I’ve seen you come out looking like a sherbet dip who has been dunked into every bag of sweets in the shop, it looks amazing! Although the dye is meant to wash out I think I’ll be taking a little trip to Primarni pre race to get my gear, just to be safe.